Mazda has released the first official exterior photo of its new three-row seater SUV. Called the CX-8, it is said to be Japan-only vehicle and is set to go on sale by the end of this year. Looking at the side profile of the car, it is clear that the designers wanted the whole family of Mazda SUVs to look similar. 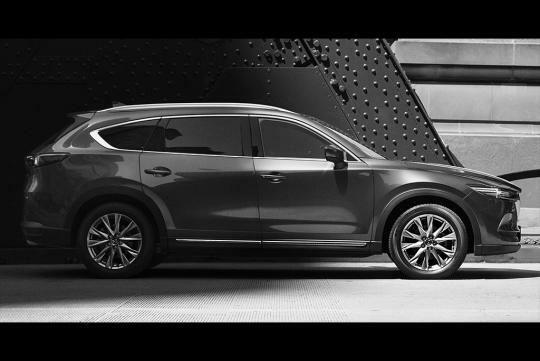 While it is easy to distinguish the difference between the CX-5 and the CX-8 due to the their sizes, it is slightly hard to spot the difference between the CX-8 and its larger brother, the CX-9. Speaking of the CX-9, it is only 175mm longer and 125mm wider than the CX-8. Wheelbase for both cars are the same. 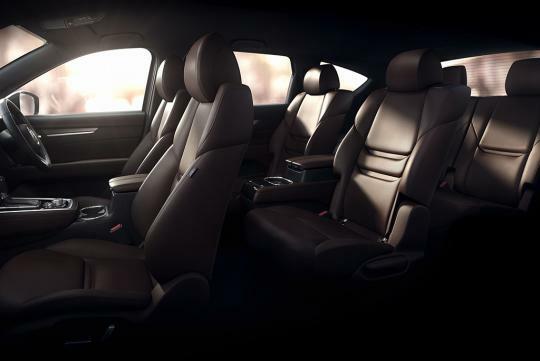 The SUV is available in both six-seater and seven-seater configuration and will be powered by a 2.2-litre SkyActiv-D turbodiesel engine at launch. The engine will be make around 170bhp and 420Nm of torque and will be paired to a six-speed automatic.